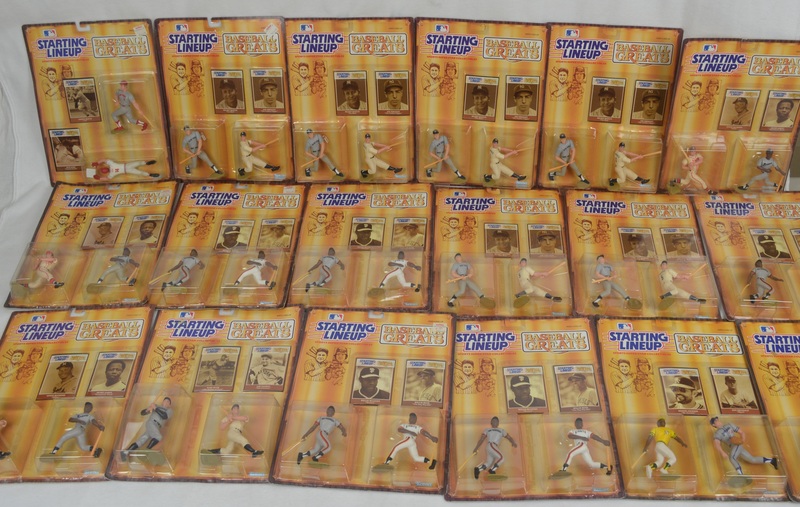 Collection of 18 unopened 1989 Major League Baseball Starting Line-Ups Baseball Greats doubles. 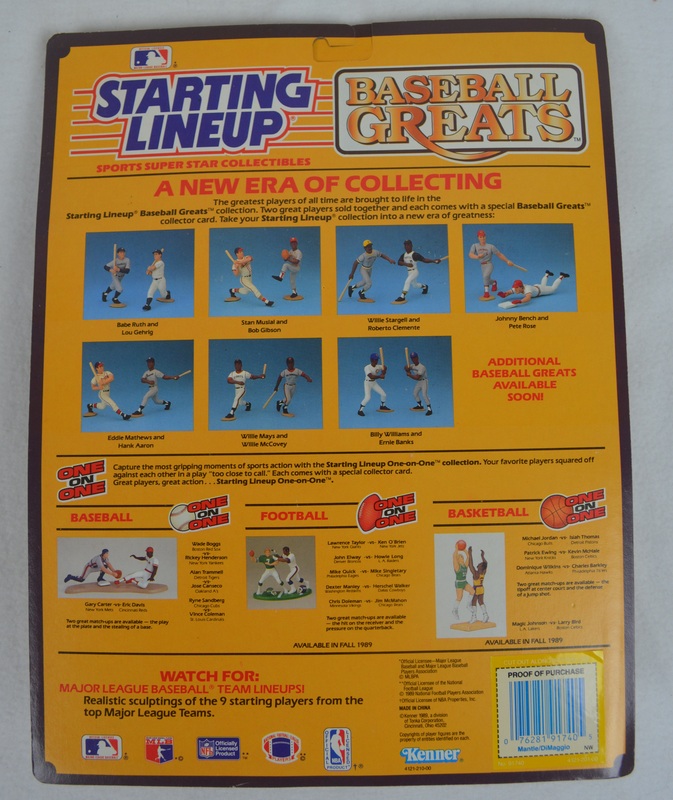 Highlights include: Babe Ruth/Lou Gehrig, Mickey Mantle/Joe DiMaggio (6), Willie Mays/Willie McCovey (5), Hank Aaron/Eddie Mathews (3), Johnny Bench/Pete Rose and Reggie Jackson/Don Drysdale (2). 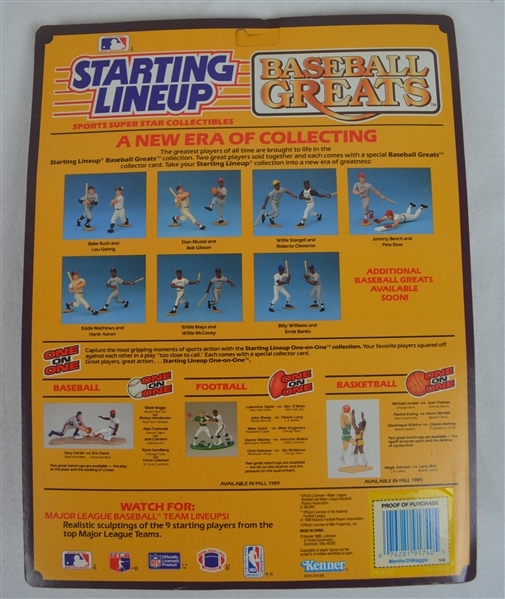 Each Starting Line-Up remains in protected mint condition in their original packaging.